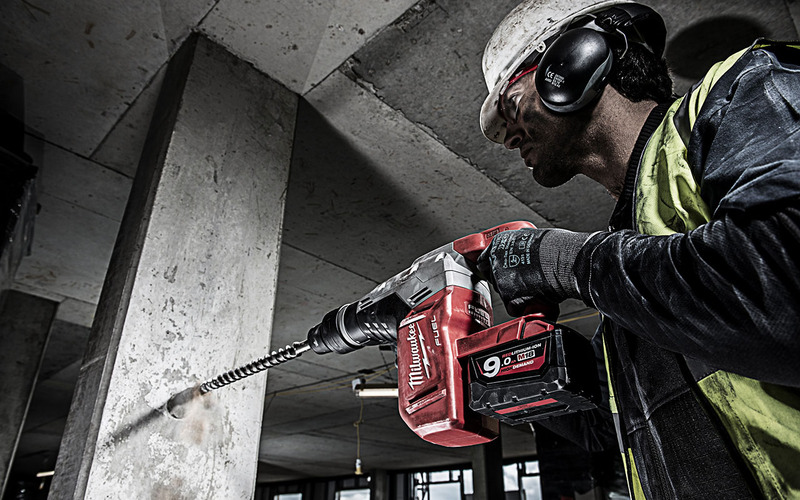 The SDS Max combi hammer from Milwaukee is an innovation, which also convinces by high quality, design and functionality. The combi hammer is the first 10V kg SDS-Max combi hammer. It targets the professional users, not the least being built for performance and a long lifetime. This doesn’t only include the magnesium gearbox, but also the batteries. An electronic overload protection and the Redlink Plus performance round off the functionality of the SDS-MAX. The safety clutch protects the hammer and the user alike. The design of the combi hammer is integrated into the Milwaukee product family, presenting itself in the red-grey look, which clearly shows the functional areas.